Quand deux indémodables se rencontrent et forment une pièce à la pointe de la mode. Lunettes / Sunglasses : Forever 21 When two timeless pieces form a new perfect one. 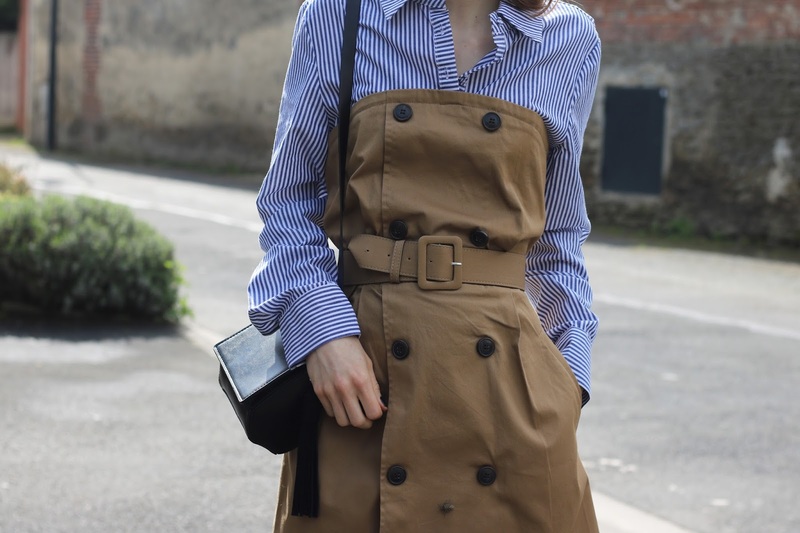 This dress, half trench, half shirt is inspired by Sacai, but revisits ours wardrobe basics. The strapless cut and the camel color highlights the blue/white stripes shirt. All belted ensures a chic look without the slightest effort.